Whether you are moving into an older home that has a shower drain that you don't like or you have a shower drain whose gasket is leaking or something has cracked over the years, sometimes you need to replace the drains. The process of removing and replacing a shower drain is the same regardless if you are working with a concrete slab or a plastic shower pan, since the drain itself is merely screwed onto the pipe stub coming up out of the slab. All you need are some basic tools and you can quickly and easily replace the drain. Concrete drains sometimes need to be replaced. Loosen the bolts that are holding the pipe rough-in and the drain into the concrete floor. Use the wrench set to determine the proper wrench size to loosen the screws. 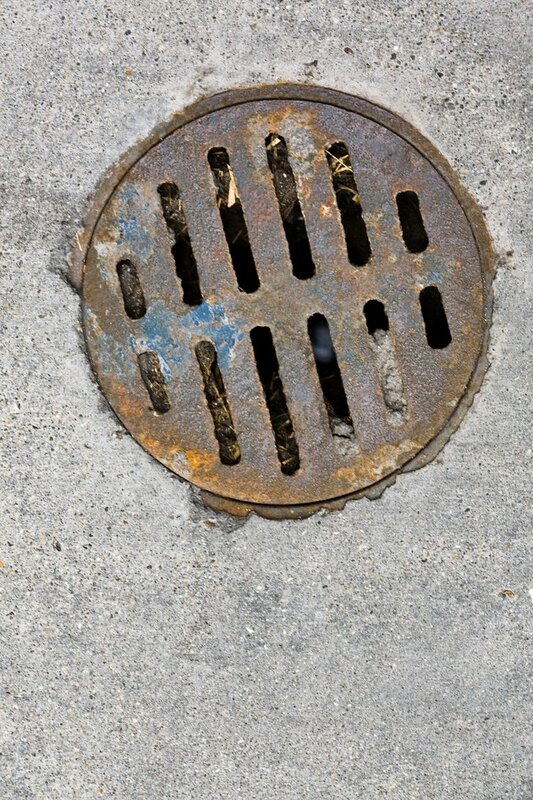 Remove the bolts so that you can remove the top of the drain, known as the drain cover, separating it from the flange and the actual drain attachment. Use the screwdriver to help you apply pressure to the drain flange and turn it in either direction until you break the bond with the pipe cement. Place the screwdriver in the old bolt holes from the flange to apply leverage. Remove the old drain from the stack. Clean the pipe stack with an old rag. Apply primer to the inside of the pipe stack coming up through the concrete slab. Also apply primer to the outside of the shower drain that is attached to the new flange. After the primer has dried, apply pipe cement to the same areas, known as the male and female sections of the attachments, and push the new drain into the existing pipe stack. Let the pipe cement dry according to the manufacturer instructions. Loosen the bolts on the flange and place the shower drain cover in place, slotting it over the top of the bolts and turning it until it is locked in place. Tighten the bolts with your wrenches to finish the replacement. Put duct tape over the top of the drain to protect it. Mix up some concrete mix in a bucket until you have a thick, creamy mixture. Use a margin trowel to do the mixing. Fill the area around the drain with new concrete, covering the flange and bolts. Use the flat metal trowel to smooth the new concrete flush with the rest of the concrete floor. Remove the tape after the concrete is dry.